Come tap it back and push it up as we dance our way to a stronger more confident you. If this is your first spin class, please come about 10 minutes early to be properly and safely set up on the bike. Bring your own shoes with SPD or Look clips or you may rent a pair for $2. Get the best of both worlds in a compact 45 minutes. 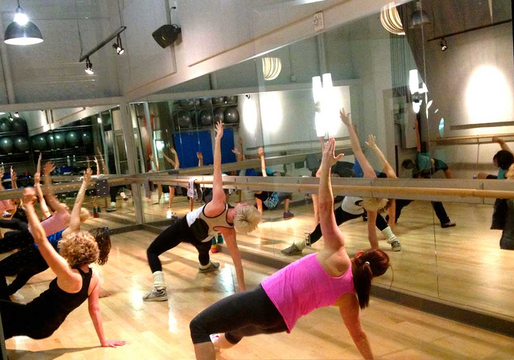 This dynamic class will offer the perfect balance of a full body burn combined with low to light impact cardio moves. Prepare to tone your body with a variety of “teacher’s choice” of props - hanging thera-bands, gliding discs, fitness circles and more! 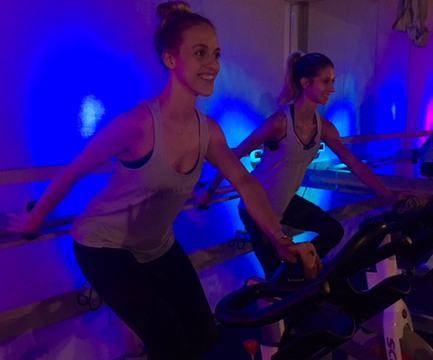 Our basic level spin class will introduce tempo, choreography, and correct form while riding a stationary bike. This class is an excellent way to get your heart rate up while being gentle on your joints - all at a slower pace than our open level spin. Come early to be set up on your bike safely. You may bring your own shoes with SPD or LOOK clips or you may rent a pair for $2 at the front desk. Designed to counter balance and target all the muscle groups neglected in Spin. The first half of class will begin with strengthening all of your balancing muscles and will mobilize your spine in multi-directions. 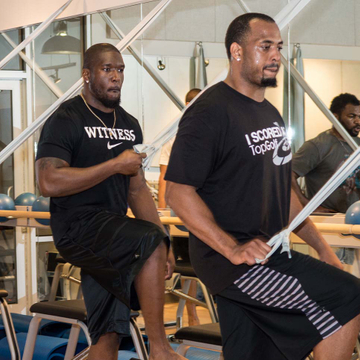 Once you have toned and re-balanced your body, we will end with a cardio blasting spin section. This condensed format is the most effective design to not injure yourself while achieving weight loss goals. 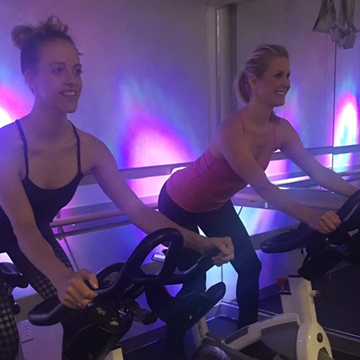 The first half of Spin & Zen will rev up your metabolism with an energetic and challenging spin class. Once we have tapped into a high caloric burn, we will move into a yoga flow designed to slow down the nervous system and lengthen your posture. 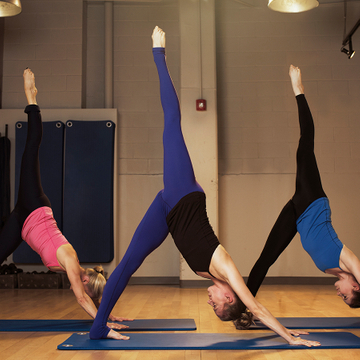 We will move our spine in multiple directions, open your hips, and reset your body. ***This class requires tennis shoes. Do you need a kick start to get your summer body ready? Then we have the class for you! 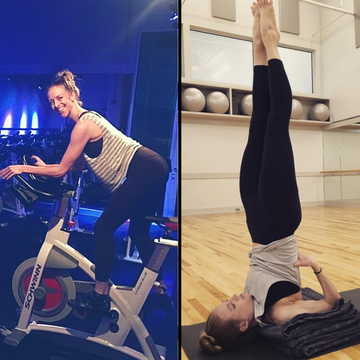 Check out Dancers Shape's newest creation Spin & Sculpt. Move between the fitness circle, therabands, and spinning to burn calories while sculpting your tightest arms, back, outer hips and legs in just 45 minutes. 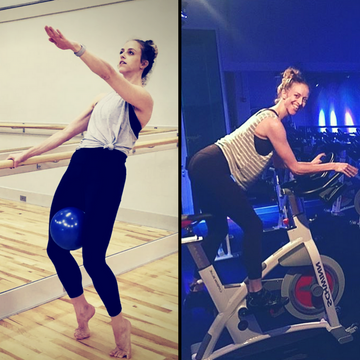 This class is an amped up 45 minute version of the studio’s signature barre class. Expect the same burn and toning effects you feel in Shape while adding light impact cardio moves and small props (thera-bands & gliders). Target all the bikini areas just in time for summer!